"She was taking medications for the tumor in her brain to dissolve by itself and we were desperately hoping that she'll recover. But slowly the painkillers had no effect on her headache. She says that she feels like a monster is sitting in her head and she can't bear the heaviness. One day, it was too unbearable for her, she screamed in pain and within a few minutes, she collapsed on the floor. Since then she is in the hospital. Every day, they are giving her medicines to induce sleep. She is unable to sleep and bear this terrible pain." 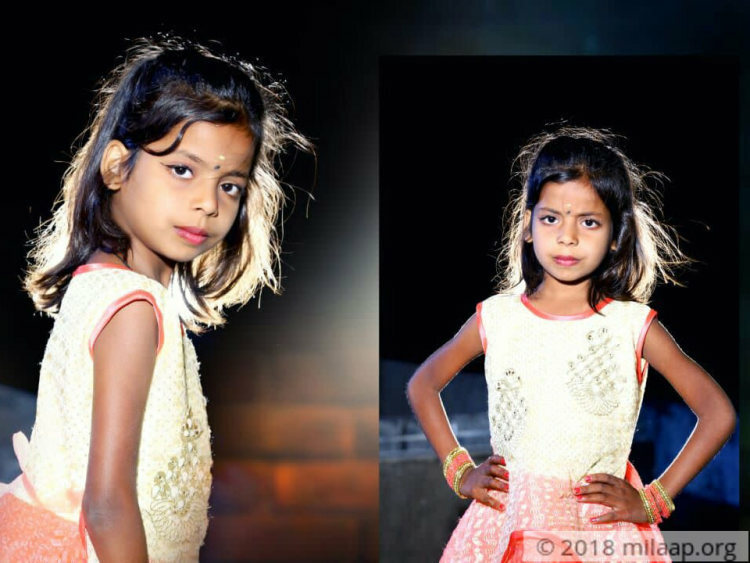 - Chandu, Father of 8-year-old Pallavi. Pallavi is the youngest daughter of Nagamani and Chandu. She was an active and cheerful girl. Suddenly she had terrible headaches and her parents couldn't believe how a small girl like her could have headaches continuously. They stopped her from watching TV. Yet, she complained of headaches. When she developed a high fever they took her to hospital. 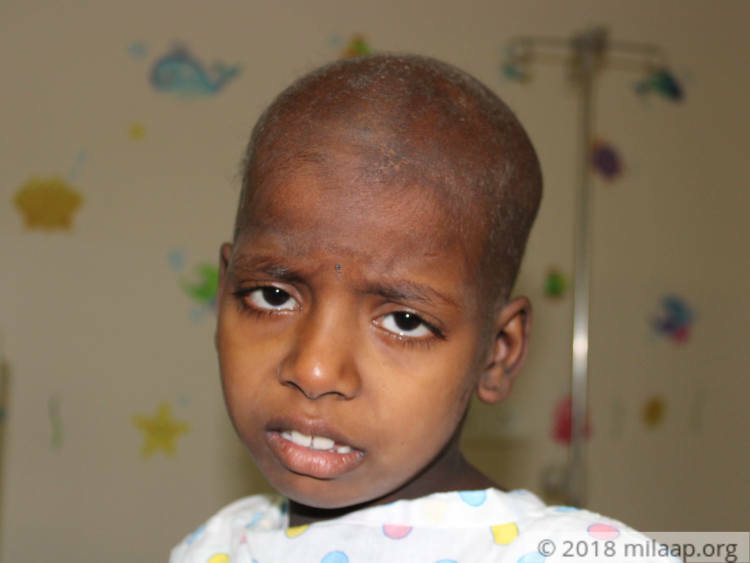 Reports confirmed that she has Medulloblastoma, a cancerous tumor that starts at the base of the skull.It spreads to other parts of brain and spinal cord. Her parents were least prepared for this. Initially, they didn't know it was cancerous and they were told that it could be treated with medicines. But her condition became worse in just a few days and an immediate surgery was done to save her life. 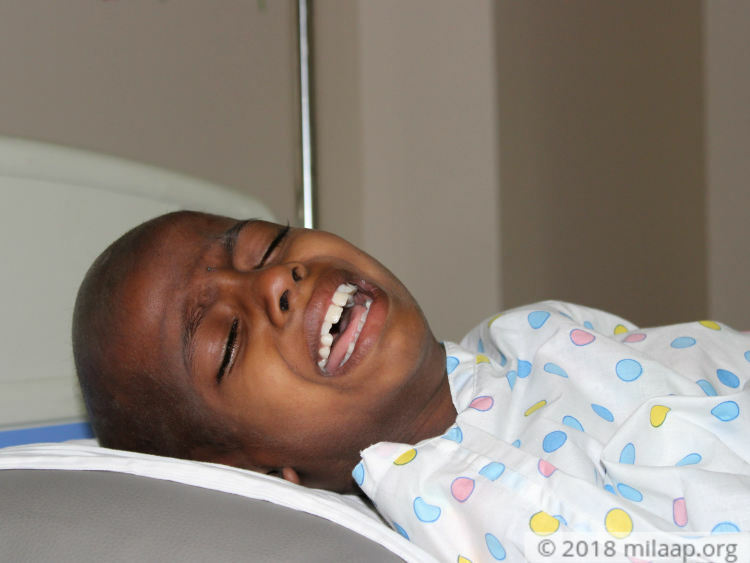 "When we rushed her to hospital after she collapsed, doctors said she needs an immediate surgery and there is only 50% chance for her survival. We immediately borrowed money at high interest and paid the money. We were willing to do anything to save her. It was a 6-hour surgery and it felt like a year. We were dying inside. Only when the doctors came out and told that she is out of danger, we were relieved." - Nagamani. Pallavi was very strong and survived the surgery. They were relieved that the tumor was removed and she could finally live a normal life. She was in observation for a few days and she was responding well. Just a day before her discharge, the final reports revealed that it is a cancerous tumor and it can spread rapidly. She requires chemotherapy and supportive care for the next 8 months without which she will not survive. "I remember only the screams of my wife when the doctors told that is a cancerous tumor. After that, we didn't have time for anything. 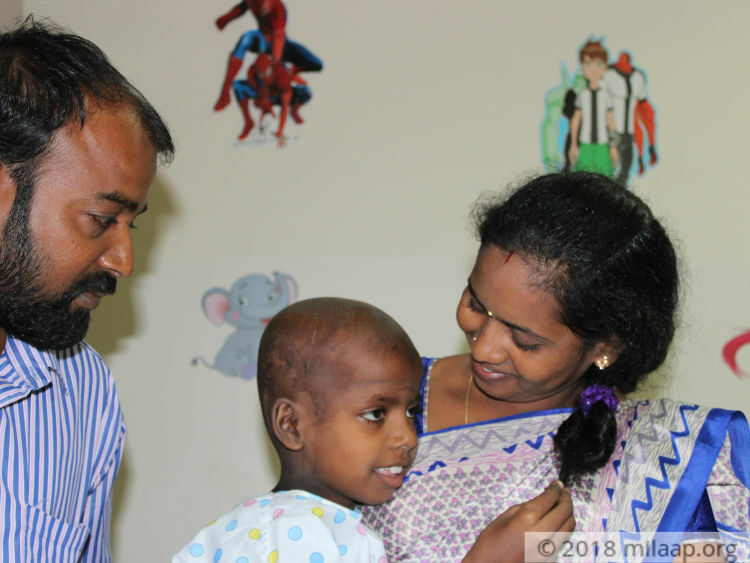 Doctors asked her to take her to a different hospital as her condition became critical. I borrowed money again and took her to another hospital. Doctors said she needs chemo and other treatment. I don't know what it means. My wife and I begged them to save our daughter." - Chandu. Chandu is a Taxi Driver earning Rs 10,000 per month and Nagamani was working as an assistant in Beauty Parlor for Rs 4000. She has quit her job ever since Pallavi's diagnosis. Chandu was never been able to go for work. He borrowed a huge sum of money for the treatment. While he was struggling to pay these debts, he was asked to pay another 7 lakhs for the treatment. They are helpless and have no one to turn for help. "After so many years of hard work we got a small gold earring. This the first time we ever bought gold. We gave it to Pallavi because she is the youngest. I promised my other two daughters to get them the same some day. Pallavi was very happy. 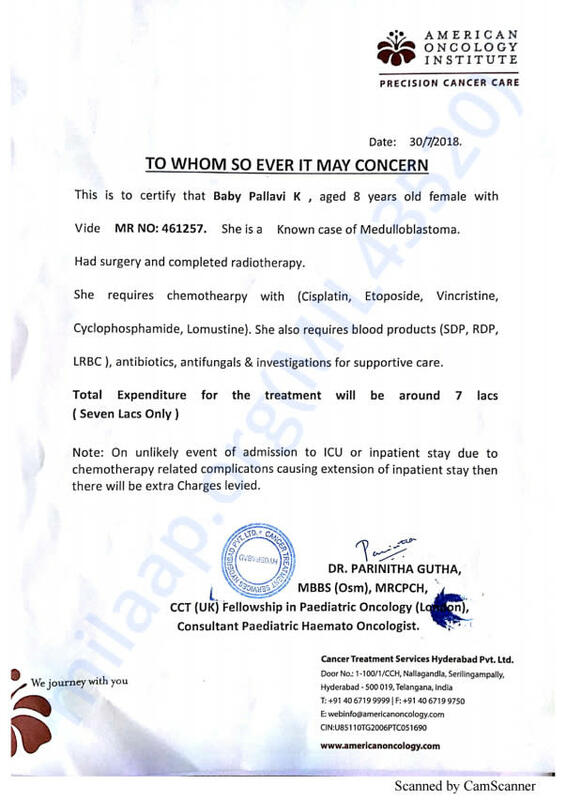 But within 4 days she was admitted in the hospital. I had no other choice but to sell her earring. She is asking about it now and I have told her it is safe at home. My other two daughters are not going to school because I couldn't pay their fees. I feel terrible. People have started calling me every day asking to pay the interest on the money I borrowed. 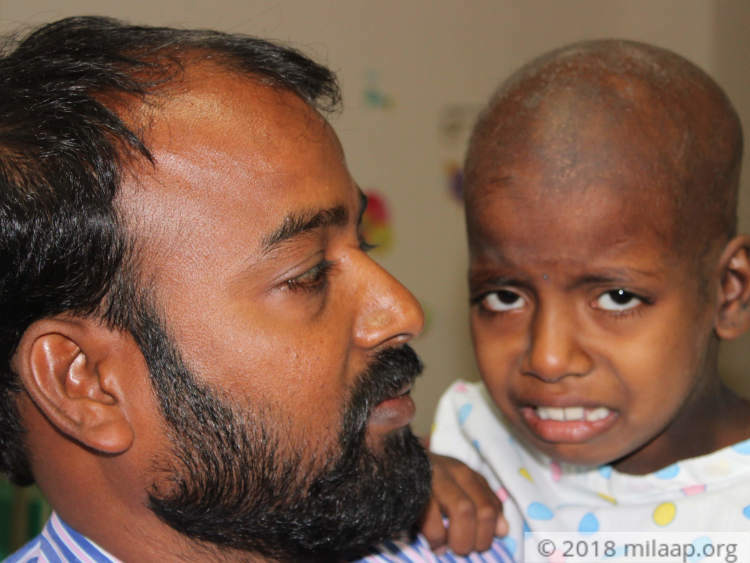 I don't know what I can do to save my daughter." - Chandu. 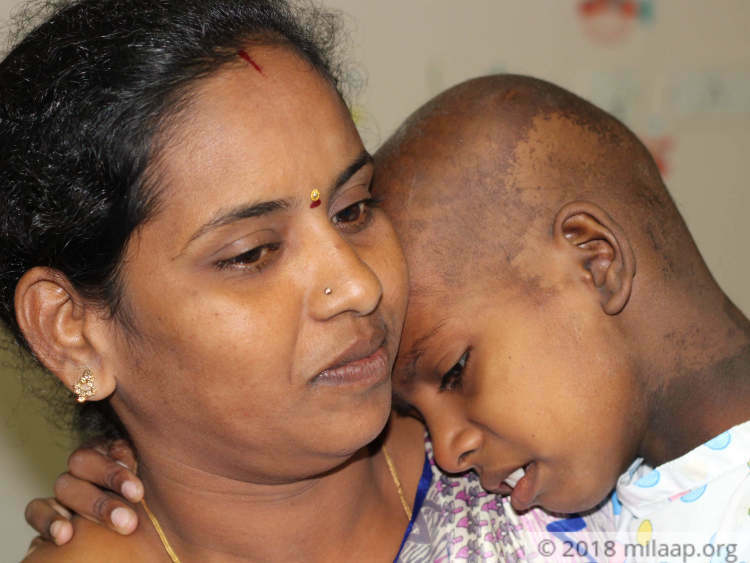 8-year-old Pallavi is battling a cancerous brain tumor. Her poor parents have sold everything they had with them for her surgery. Now she needs chemo cycles to battle this dreadful disease without which she won't survive. Their lives have come to a standstill. They are neck deep in debt and are under pressure to pay it back. They have no one to turn for help. 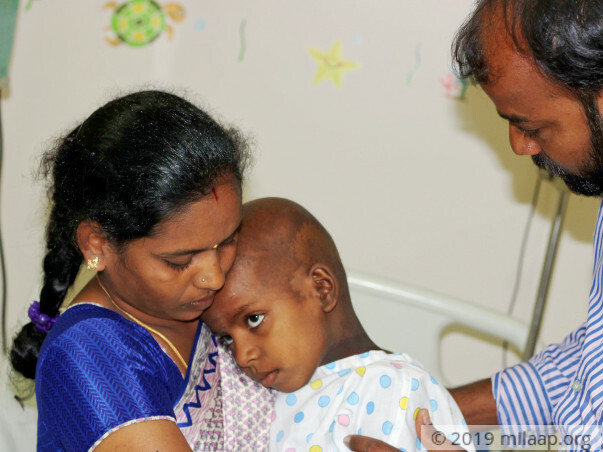 Little Pallavi can come out of the excruciating pain and live a normal life with your support. Pallavi is doing well. She is recovering and is undergoing her treatment. She is responding well to her treatment so far. 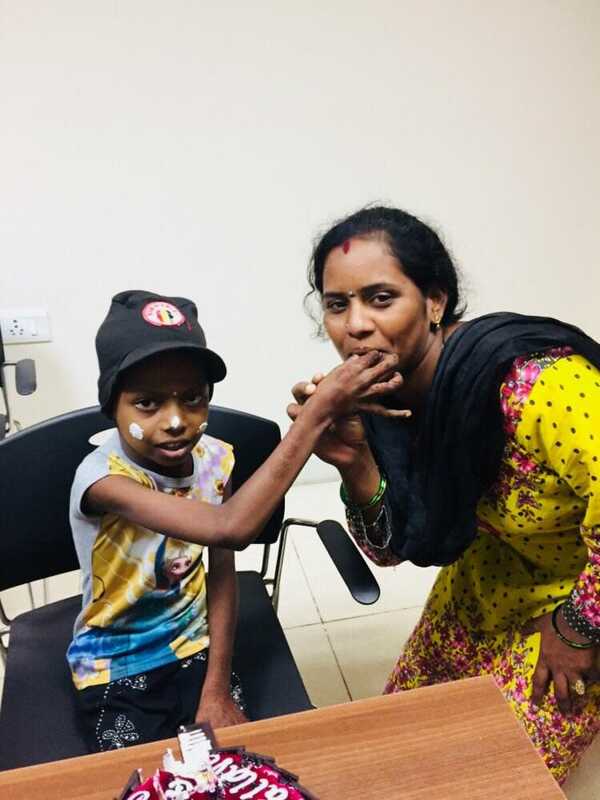 Here is the picture of Pallavi's Birthday celebrations at the hospital after her second chemotherapy. The kid is doing well and getting recovered. 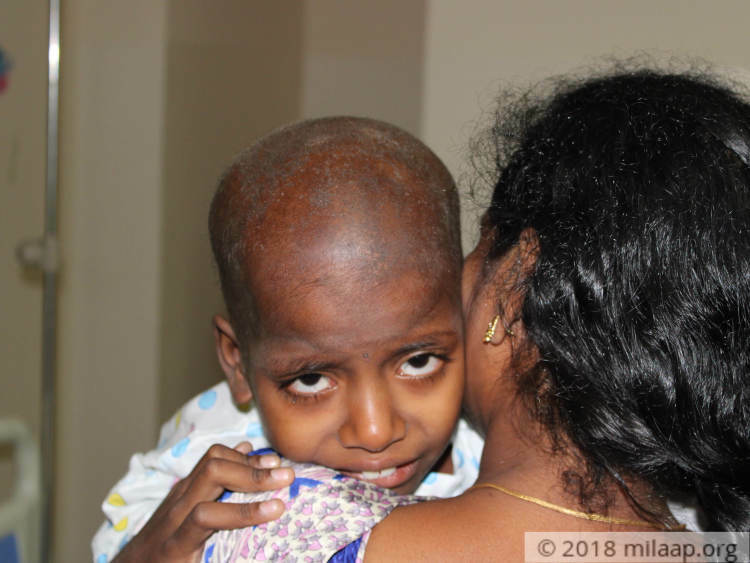 Pallavi has undergone the second cycle of chemotherapy and is responding to the treatment well. She is showing signs of recovery. We will let you know about her status as she begins the next cycle.